If you are a perfectionist, or have done your share reupholstering, then Heavens to Betsy, please turn away from these photos! 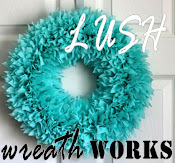 This is my first time ever ( I know, I've been a DIY blogger for how long?!) 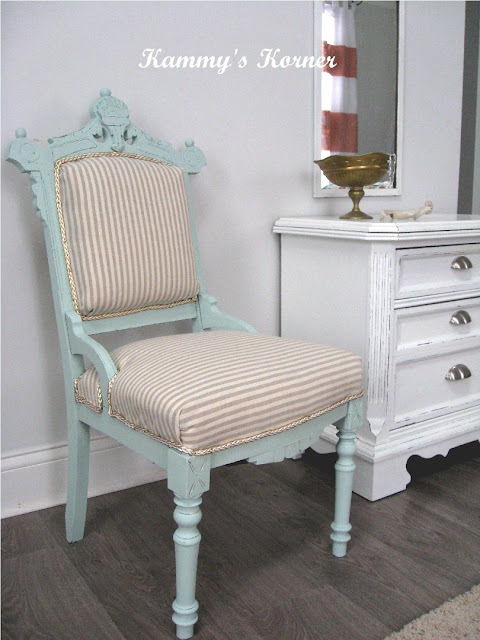 redoing something like this, and it's a simple chair, for crying out loud! I'm slightly reupholstery-challenged. But it's just for my bedroom, so if it's good enough for me, then it's good enough for me. So put that in your pipe and smoke it. 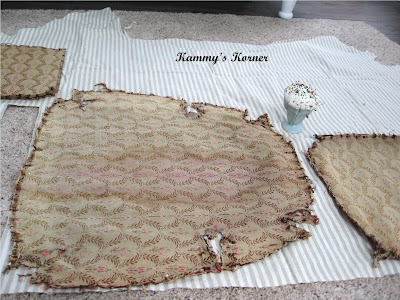 I have something to bring to your attention before you see this total chair transformation! Everyone please click on over and check out Lush Wreath Works!! meet the sad little chair. But sad enough for the dude to only put a FIVE DOLLAR garage sale tag on it?! Yeah, I'm all over that. I decided it would be easiest to paint it before I got the nice new fabric on. Paint covers a multitude of sins. I decided after I got the fabric off, to go with the same color as the antique dresser that sits in the corner. While the paint dried, I rummaged through my fabric piles and decided to keep it tame. Well that and it was the only one that wasn't either too thin, didn't have enough yardage, or didn't clash with the rest of the room's decor. And you know I ain't about to go to the store! 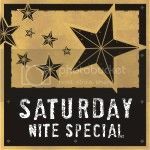 That's reserved for super special occasions. Now, what about a finishing edge?! Oh dear. Don't even think I'm going to make my own casing with the fabric. No, I'd still be working on this next Saturday! I was pretty sure I wasn't going to find what I needed, but I started digging through my ribbon drawers anyway. Well lo and behold! Whaddya know! Some gold and white braid that my mom gave me when she was cleaning out her crafting crap a while back. And there was lots of it! SCORE!!! Last but not least, I sanded all the edges so the details of all the beautiful carvings and lines would pop out. And people? Before you ask me how I did this, there are zillions of awesome tutorials out there. I do not write awesome tutorials. Just google it in, you'll find a great one. Scout's honor. Yeah, I thought I was cutting my fabric piece large enough to allow for tacking down the edges... but as you can see on the lower right side..... I didn't. :( Like I said, it's for me and it's good enough! Oh, and I also didn't notice until I was completely done that the right side is missing a fancy little dealy-dad. I'm so observant I wouldn't notice a white polar bear in a purple tree. So she ain't perfect, but neither am I, and there she is! For somebody that didn't think she did a very good job on reupholstering that chair you did great. 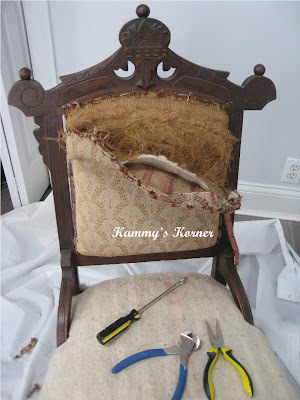 I hope to do even 1/4 as well when I attempt to redo a club chair. The fabric on it just ain't happenin' but it's a great sturdy chair.Just taking the skirt off and the welting improved it a great deal. You made your chair gorgeous. 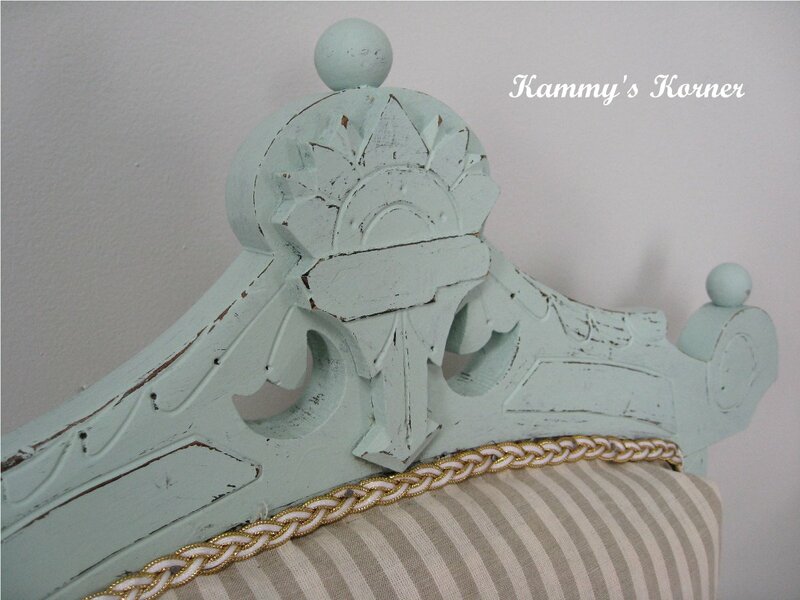 your choice of paint color and the fabric are perfect. Isn't it great when you find a trim you love and it's free and you don't have to go to the blasted store? I live so far out from where I get stuff that by the time I'd get back I'd be out of the mood for another year or so. Seeing your beautiful chair gives me some courage to finally attempt to do mine. I have the fabric, got it on clearance at Walmart couple weeks ago for $2.50 a yard. Bought all of it in case I just might screw up somewhere. Wish me luck. I'll think of you when I'm attempting it. Happy weekend. This turned out gorgeous! I think the imperfections only adds to its charm! Your chair turned out lovely! Love the paint color and how you distressed it. Now, you can sit and enjoy all your hard work. What a cool chair, Kammy! I love the detail on it. I usually find I have trim that is just too short to finish a project. I don't know why I keep some of them except that they are so pretty. 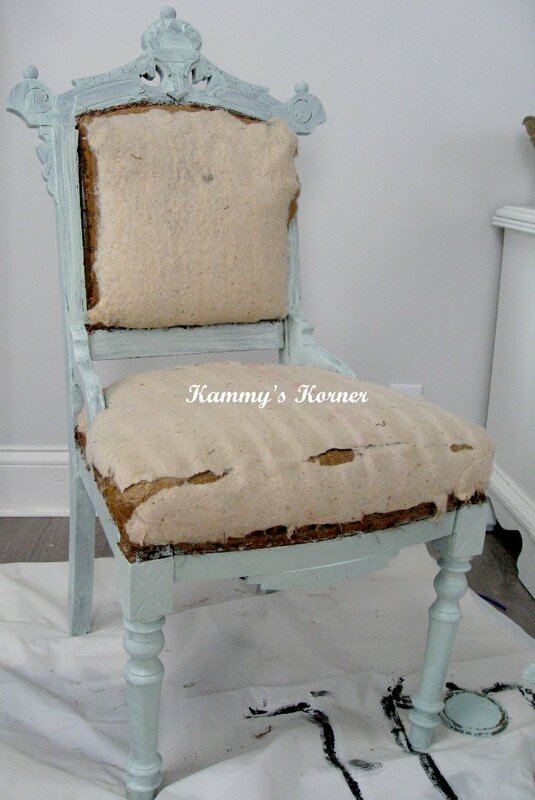 I didn't notice any missing dealy dads, or any fabric faux paux's but what I do see is a totally awesome chair redo. I think your chair is AWESOME and love the color and fabric!!!! I think my heart skipped a beat when I saw your chair.....so stunning! I would have snagged that puppy up too for $5! You did an amazing job on it, you should be patting yourself on the back for this one. It's going to make a beautiful addition to the room. I LUV ticking and use it often in projects! 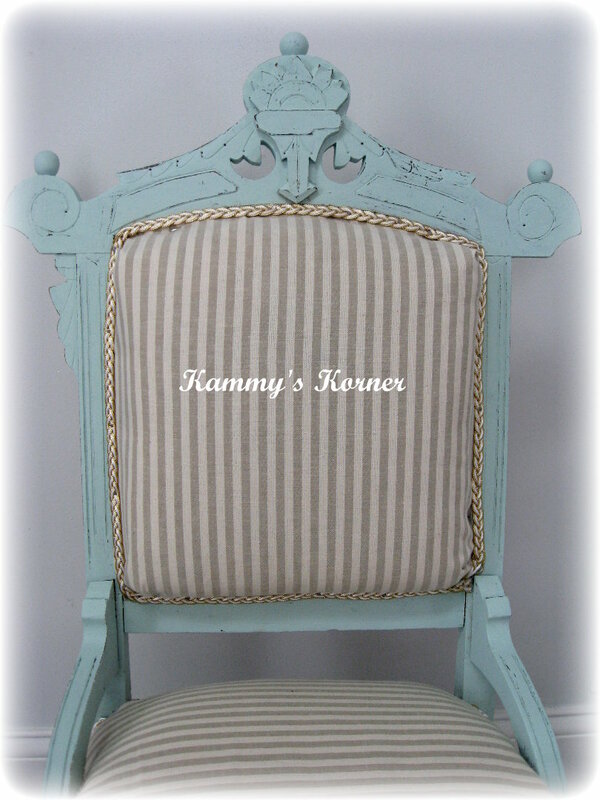 Kammy, your chair looks great, you did an excellent job, very pretty, love the color. You did an awesome job! I would never be able to do that! And I love that blue shade you chose. Gorgeous chair! I love it!! Who wants perfect!?! 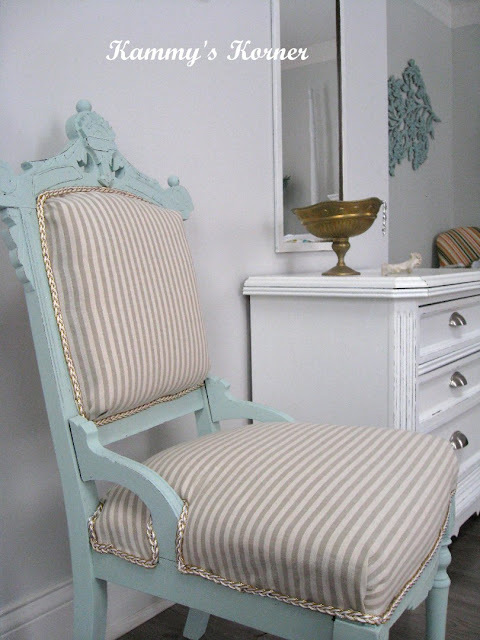 This is just my style - love the striped fabric and the color of the chair. 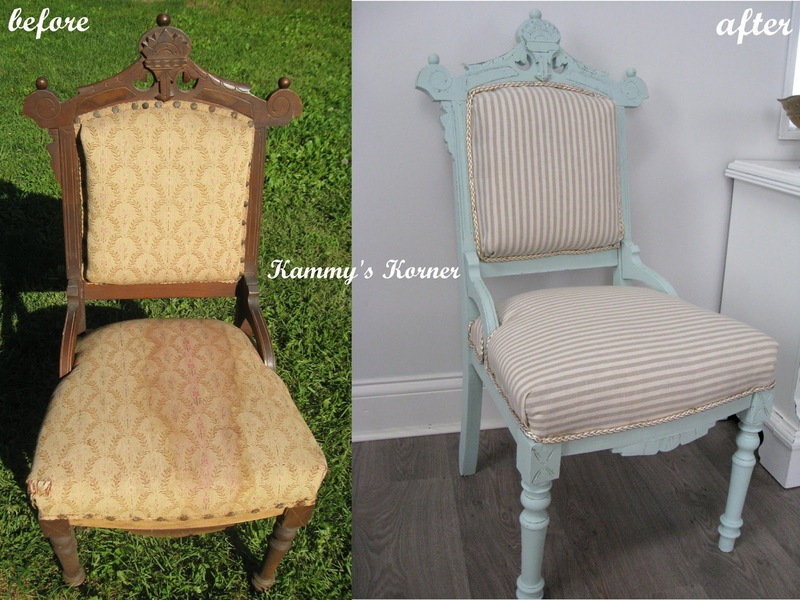 Your chair transformation is gorgeous!! I love it! Love that chair honey....Im following your blog. I just saw your feature at My Repurposed Life. This Chair is SO gorgeous! I love it! Fabulous! What color did you use?